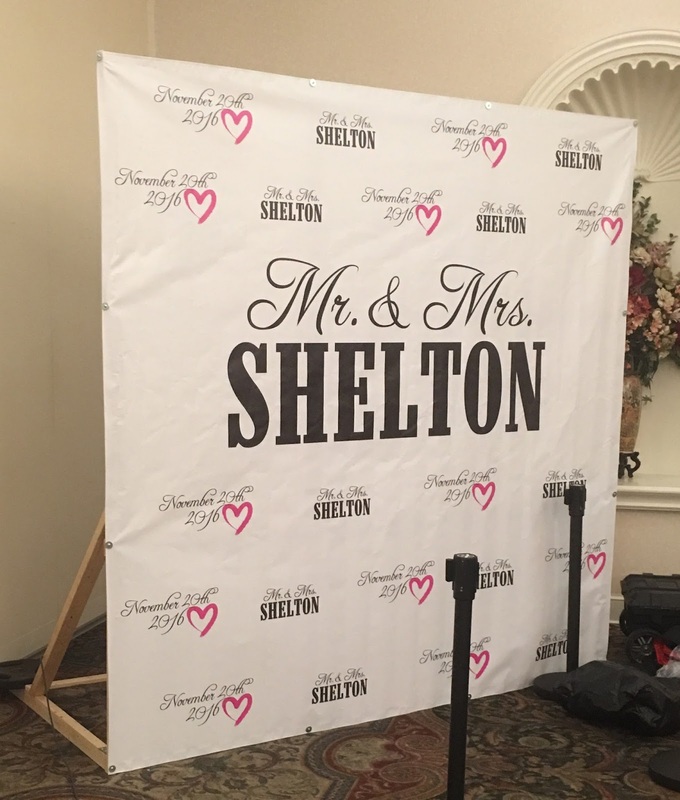 Banners.com printed a custom vinyl banner for Milo and Kelly for their wedding. They used the banner as a backdrop for photos during the wedding. 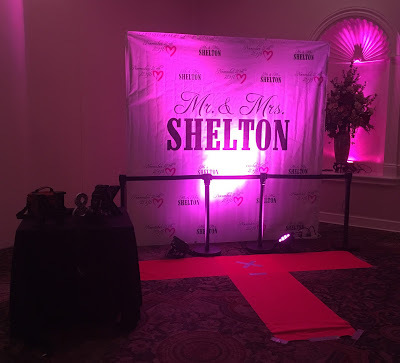 The banner is a type of step and repeat banner that is commonly used for red carpet events. Here are some photographs from their wedding. They used some lighting to make the banner look like a red carpet event. Thank you so much for sharing your photos with us! 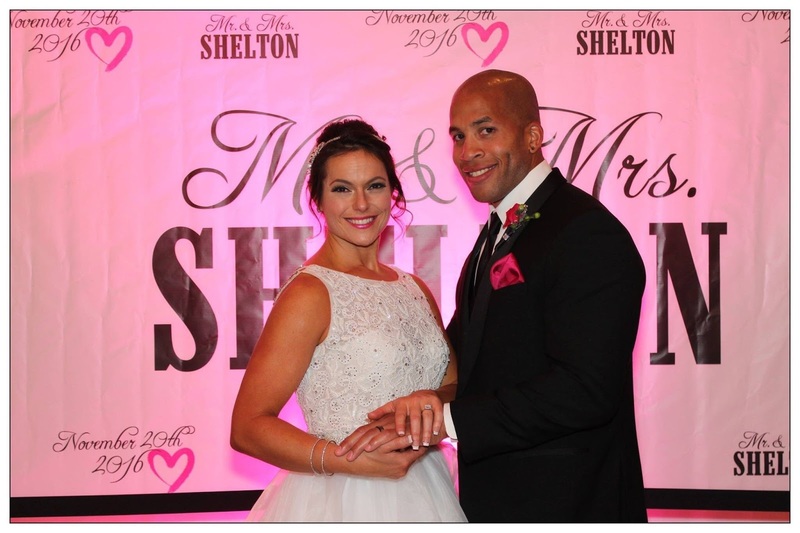 You make a very beautiful couple, and the banners looked great! If you need custom banners for your wedding, visit our wedding banners page. You can customize a template in our online designer, upload your own artwork file, or work with a graphic designer like Milo and Kelly did.